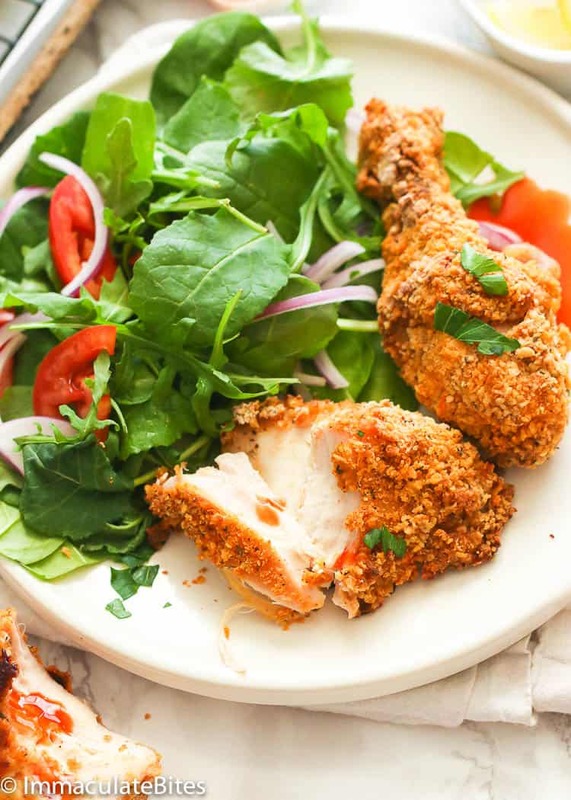 Oven Fried Chicken – crispy, juicy fried chicken but without deep frying. A healthier take on the classic family-favorite fried chicken. Crispy, tasty and healthy! 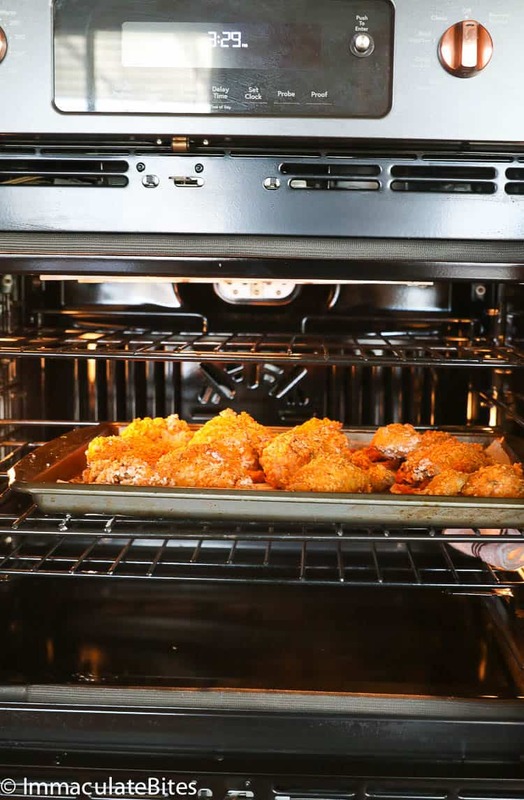 This Oven Fried Chicken recipe makes a good excuse to use my new @CafeAppliances oven more too often. It preheats well which has so far always yielded a spot on baked dishes and treats. From this healthy-ish and filling Stuffed Green Bell Peppers to this party appetizer Baked Chicken Tenders, they were all a hit during our New Year’s celebration. One of my sisters came over here to spend New Year’s Eve the “Los Angeles way” as they’d say. And since I just had a fresh kitchen revamp, I decided to let them stay in for a couple of days. What could go wrong, right? (And yep, she brought her kids along). We prepared some of our childhood favorite dishes and did some baking, too. But what I recently realized was the fact that I can now confidently host a gathering. My kitchen is like an EXTENSION of myself. Now I have customized kitchen appliances that speaks more of who I am. YAY! For my kitchen appliances, I went with Matte Black finish and Brushed Copper hardware for a classy and versatile look. I love the easy clean up look of Matte Black finish and how versatile it could be whether I’m hosting a casual dinner with my siblings or a chic potluck party with my girl friends. It speaks a lot of me – a gal who can both rock the sneakers and stilettos! And did I mention that my new kitchen look got a five-star rating from my 6-year-old God Daughter? Ahhh, kids don’t lie indeed. They hold the highest standards! 😉 This hot chocolate must have sealed the deal. Hot chocolate from the fridge. What could be better than that? Aside from the customized design of my kitchen appliances, I love how cooking and baking has been so effortless, so far. I went into baking mode during the holidays; baking cakes for our dessert table and also sending them out as requests from friends and family poured in. Oh boy, the cakes and breads slide smoothly in and out of the oven with a spot on temperature. 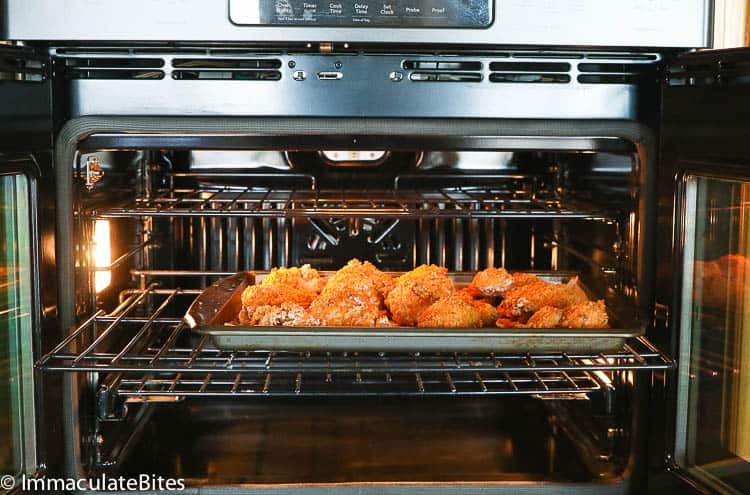 This Oven Fried Chicken here lets you see Café Appliances oven in action. I can’t wait to try other baking recipes and share it with you here on the blog. To learn more about Café Matte Collection, please visit their website at www.cafeappliances.com or check out their gorgeous boards on Pinterest. 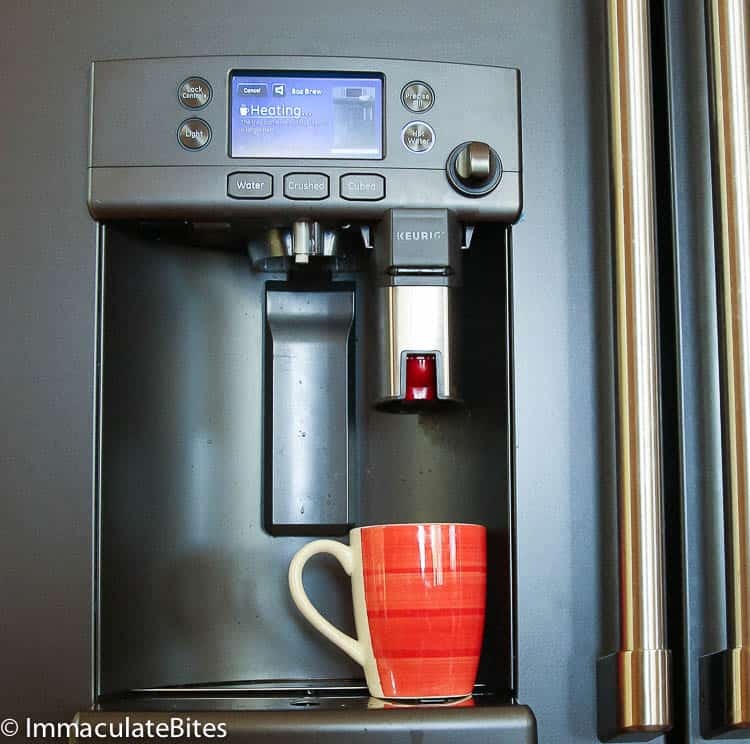 You can also check out more of their appliances in action using #CafePartner, #CafeCollective on Instagram. I personally love love chicken! Chicken meals are undeniably a favorite here at home. They are always on my weekly rotation using a variety of chicken recipes. 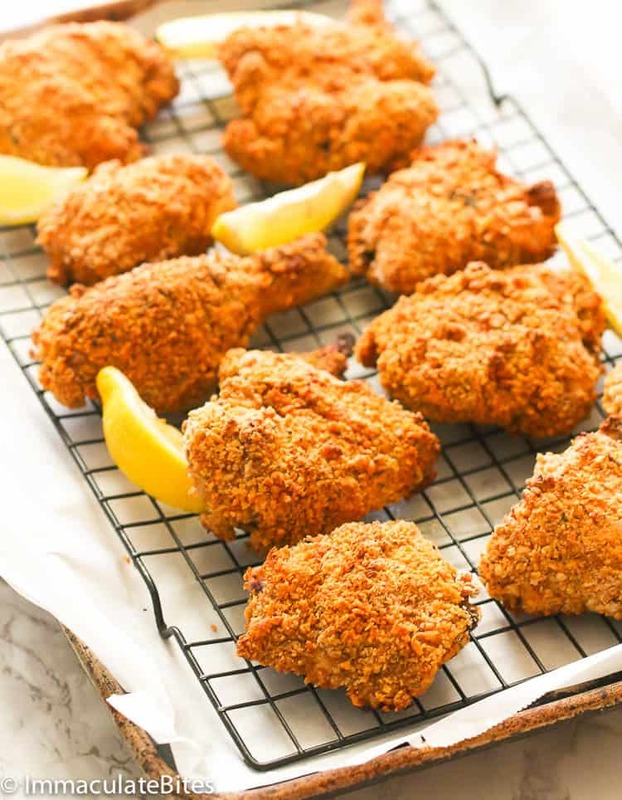 But since we’re trying to get into a healthier fresh new start for this year with my new Café Appliances kitchen appliances , I decided to take this classic family-favorite with a twist – fried chicken in the OVEN! How do you make crispy chicken in the oven? 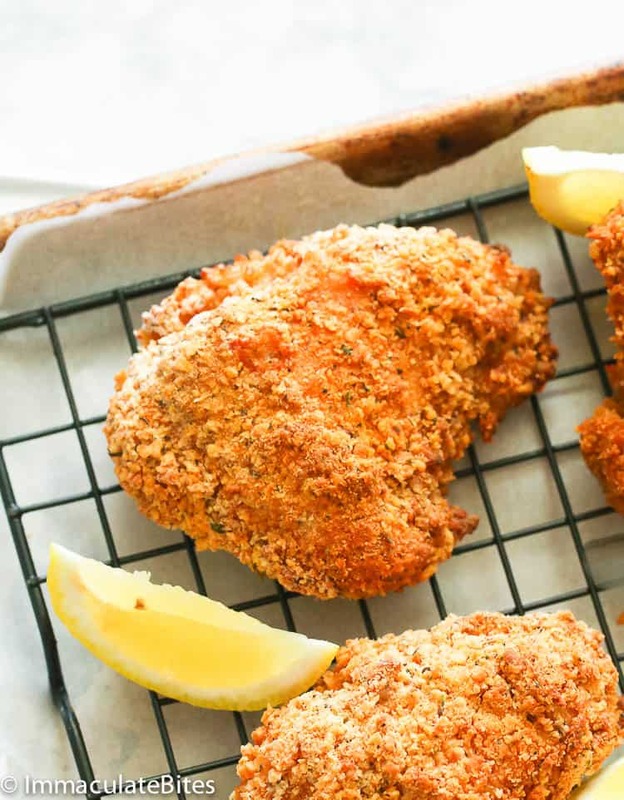 This Oven Fried Chicken is everything you’d hope for. Crispy, crunchy, juicy and so flavorful. PLUS they’re baked! Now, how do you get that nice touch of crispiness even when they’re baked? With years of trial and error, I’ve found out that the secret to achieve a crispy chicken without any deep frying, is to ensure that they are dry before coating them with spices or breadcrumbs. I pat the chicken dry with paper towels and let them sit in my fridge for a minimum of 3 hours or overnight. Remember NOT to cover them and let them air-dry. 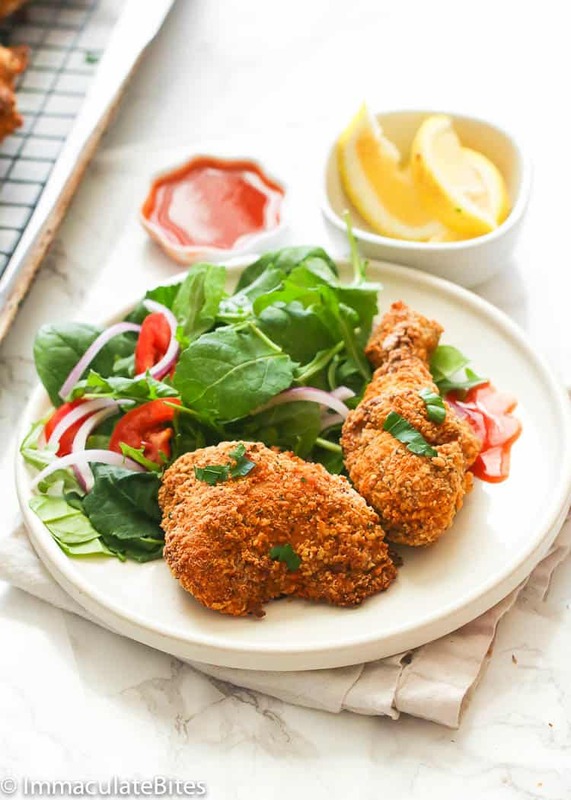 As a result, this method ensures a crispy baked chicken all the time just like this blog’s massive hit Baked Crispy Chicken Legs. Using panko breadcrumbs also helps in achieving this texture. It’s a Japanese-style breadcrumb that are easily found in the Asian section of any supermarkets. 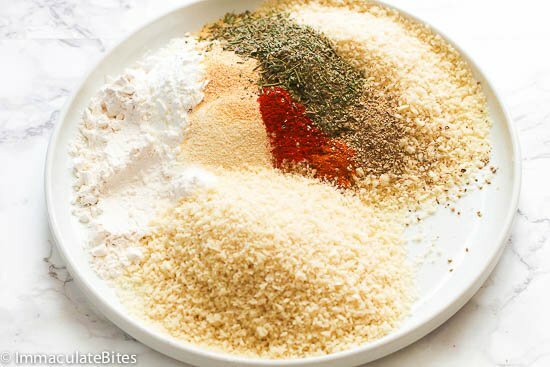 Furthermore, Panko breadcrumb has a light, airy and delicate texture and it absorbs less oil (especially when frying) than regular breadcrumbs; making the food crispy and crunchy. See those photos below? 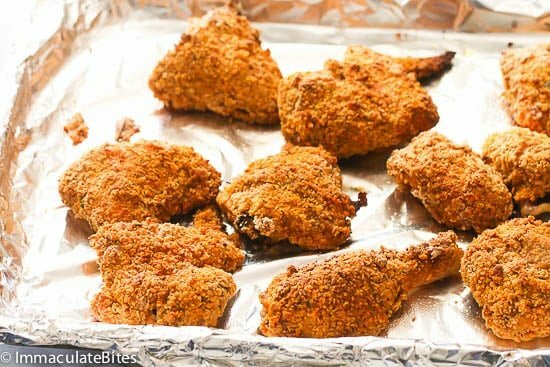 Is oven fried chicken healthier than fried chicken? I’m not a certified nutritionist, nor a licensed doctor, but I do know that baking your usual dishes cuts back some calories. That is why this year, I want to make some of my guilt-pleasure dishes in the oven just so I can avoid some of the unwanted calories from the oil. And since we do love fried chicken here at home, I’ll be popping them more often in my @CafeAppliances oven to be on the healthier side. Serve this Oven Baked Chicken with salads for a healthy complete meal or pair it with warm rice or mashed potatoes. It totally checks off all the criteria in my list for a delicious chicken: √ juicy, √ delicious, √ crispy and √ crunchy. Enjoy one bite at a time! 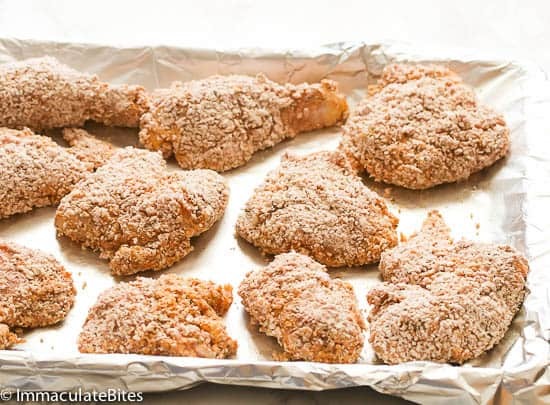 To achieve a crispy chicken without burning it outright, the chicken should be air dried by placing it inside the fridge for a minimum of 3 hours or preferably overnight. 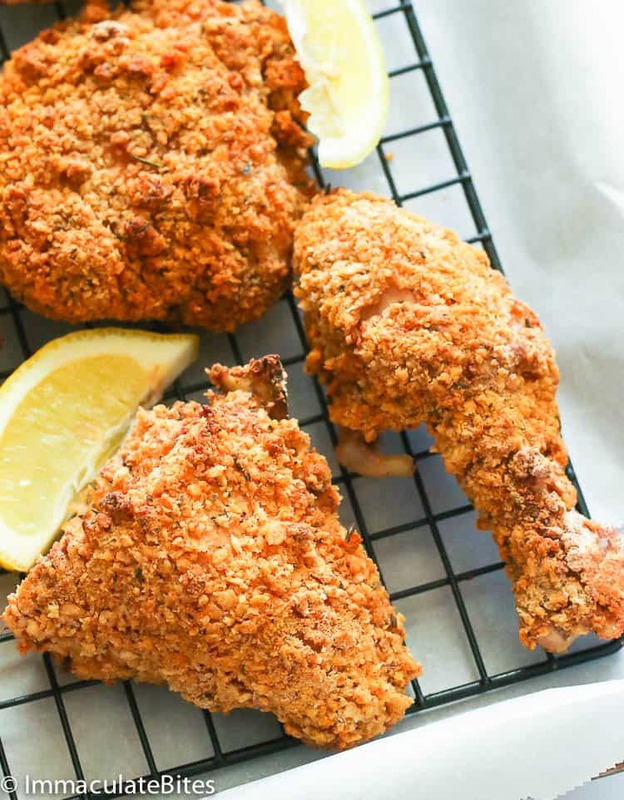 Oven Fried Chicken - crispy, juicy fried chicken but without deep frying. 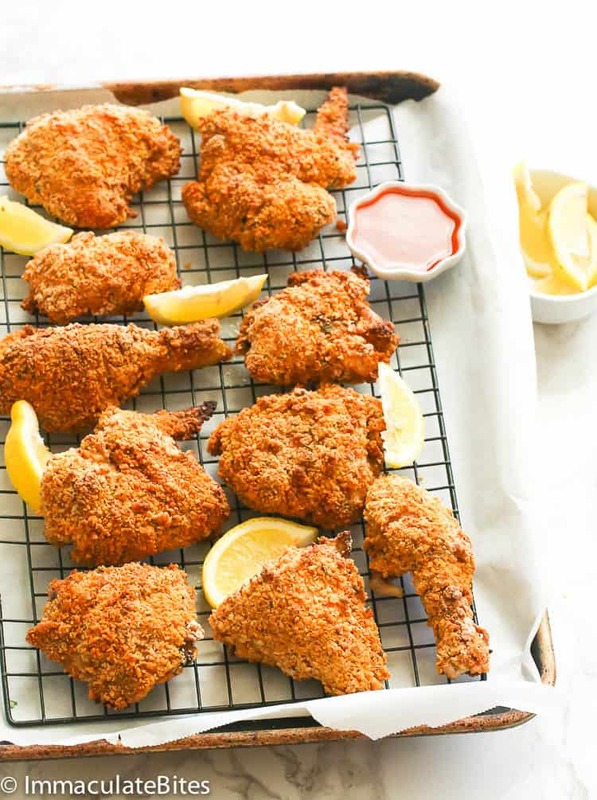 A healthier take on the classic family-favorite fried chicken. Crispy, tasty and healthy! PLUS a video of my new oven. Pat dry the chicken with paper towels and place them in the fridge for a minimum of 3 hours or overnight to air-dry them out. If you're short in time, you may just pat them dry well with paper towels. Place chicken in a large bowl or large ziploc. Then seasoned with salt followed by all the crushed garlic, hot sauce and creole seasoning. 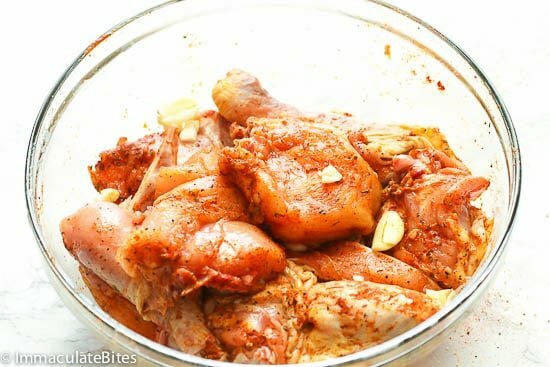 Pour buttermilk in the marinated chicken, transfer the chicken to a gallon-sized zipper-lock freezer bag and refrigerate for at least 4 hours and up to 24 hours. 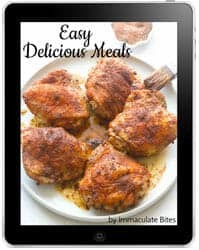 In a large bowl or plate, whisk together the flour, cornstarch, bread crumbs, baking powder, salt, paprika, garlic powder, onion powder, cayenne pepper, herbs and white pepper. Thoroughly mix until fully combined. Preheat Oven 375 Degrees F. Then Line baking pan with foil paper- coat with cooking spray. Remove all the marinated chicken from the buttermilk . Then dredge in flour mixture, shaking any excess flour. You may use a Ziploc bag for this process, too. Let the chicken rest in a single layer in a baking sheet pan for about 10-15 minutes. This will help the coating to stay on. 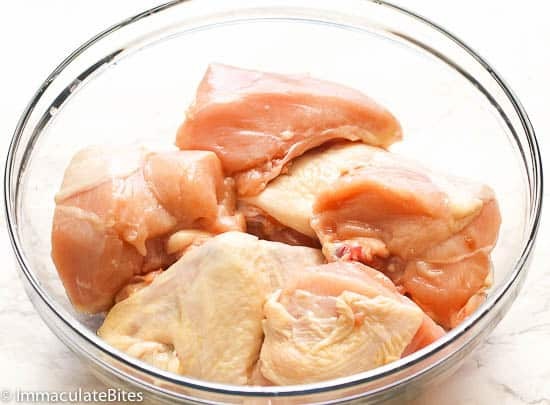 Place the baking pan into the 375 degrees F. oven and bake for 45- 50 minutes or until the chicken meat is no longer pink and its juices run clear. You may do a test by piercing the chicken with a fork. Pat dry the chicken with paper towels. Next, place chicken in a large bowl or large ziploc. Then seasoned with salt followed by all the crushed garlic, hot sauce and creole seasoning. 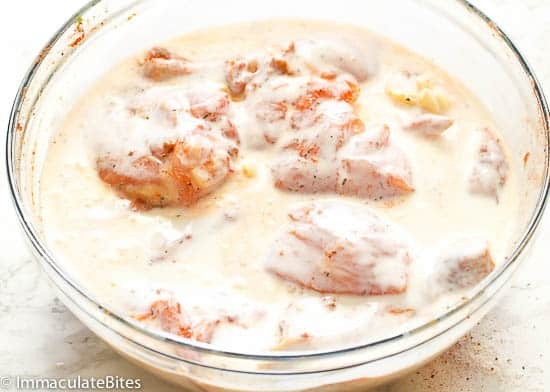 Pour buttermilk in the marinated chicken, transfer the chicken to a gallon-sized zipper-lock freezer bag and refrigerate for at least 4 hours and up to 24 hours or overnight. 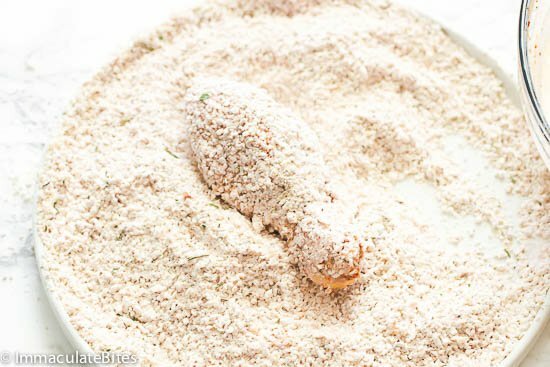 In a large bowl or plate, whisk together the flour, cornstarch, bread crumbs, baking powder, salt, paprika, garlic powder, onion powder, cayenne pepper, herbs and white pepper. Thoroughly mix until fully combined. Preheat Oven 375 Degrees F. Then Line baking pan with foil paper- coat with cooking spray. Now remove all the marinated chicken from the buttermilk .Then dredge in flour mixture, shaking any excess flour. You may use a Ziploc bag for this process, too. Let the chicken rest in a single layer in the prepared baking sheet pan for about 10-15 minutes. This will help the coating to stay on. Please do let me know how it turns out for you. Thank you. Hi! Can’t wait to try this! How important is it to marinate in the buttermilk if you are short in time? Thanks! Should the skin be removed from the chicken before going forward with the recipe. What about baking the chicken on a rack on the foil lined pan to increase air circulation around the pieces as they bake. No the skin should not be removed. Baking the chicken on a rack works just fine too. 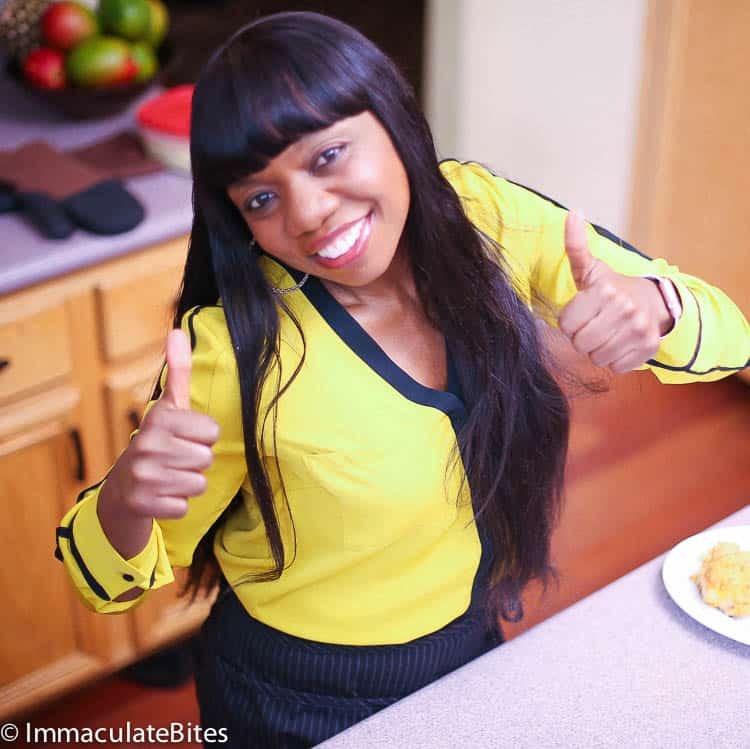 Thank you Imma, I have tried most of your recipes and I LOVE all of them. Can this chicken be fried as well? Can’t wait to try this! Would I need to make any adjustments if I use boneless, skinless chicken tenders? Thanks! Yes, please. You’ll love this one. 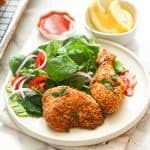 Meanwhile, you could also check my Baked Chicken Tenders here >>> https://www.africanbites.com/baked-chicken-tenders/ Enjoy! Lovely kitchen Imma. The recipe it’s a definite must try. Thank you, Sabrina. I’m always excited to head over to my kitchen now. 🙂 Can’t wait for you to try this recipe, too. I love your recipe! You go girl! Great applicances for a great and fabulous cook. Awww. Thank you so much for the lovely words. Great recipe, and I LOVE the new oven and appliances! Keep up the awesome work, Imma!